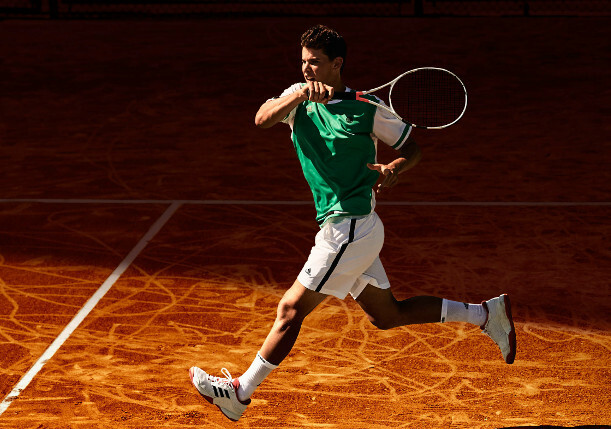 Babolat has announced that Dominic Thiem commits to Babolat racquets and strings and extends their partnership. The press release does not say for how long the partnership will be extended for. 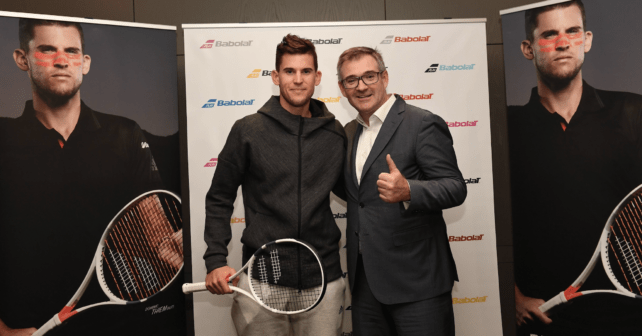 On Monday, October 29th, Eric Babolat and Dominic Thiem announced that their partnership will continue and that Dominic Thiem commits to Babolat racquets and strings. According to the press release the contract “represents total confidence in Babolat”. Thiem joined Babolat in 2014 and has since used the Babolat Pure Strike with 18×20 string pattern and RPM Blast strings. If you want to know more about Dominic Thiem’s tennis racquet, check out this Tennisnerd post. who all believe in and share human values. Babolat was a natural fit for Thiem, as human values are important and dear to the French brand. The partnership between the player and the French tennis manufacturer has proven incredibly successful: Dominic Thiem has been ranked in the ATP Top 10 for the 3rd consecutive year. Strings: Babolat RPM Blast Rough and Babolat VS 1.30 (tension 25 kg). As far as I know, Thiem is still playing with the first edition of the Babolat Pure Strike (black/red) in an 18×20 string pattern. This is then painted to look like the new one (white/red), which according to most tennis players is the superior version offering better feel and comfort. But a professional tennis player has his reasons for choosing the equipment he does and mimicking the specs or racquet setup of a pro is rarely a good idea. What do you think of Dominic Thiem and his racquet? Does he have a chance to become a world number one? Please comment below! Pros use older version of current racquet models, like Fognini uses the soft drive in a pure drive paint job. How do the pros find the grommets/bumpers for theirs old racquets? I believe that for every new paint job they need new boomers/grommets. I read that Federer was using a thinner-beamed racket during Shanghai; would you know if this is true and if so, what frame/modification he used? Thanks. Where did you hear that? I have a hard time seeing he changing his racquet mold at this stage in his career. He is playing well with his current Pro Staff Autograph and will stick with that one I’m sure. Do we know if he stuck with using RPM rough in mains AND crosses? I know he made the switch to ALL poly at the end of the ’18 season. *Side note: former pro stringer here (late 80-early 90’s) – I actually worked with Eric Babolat when we were in our 20’s LOL . Looking forward to visiting this website often. Yes, pretty sure he is still with a full bed of red RPM Blast Rough. Awesome story that you have been working with Mr Babolat!